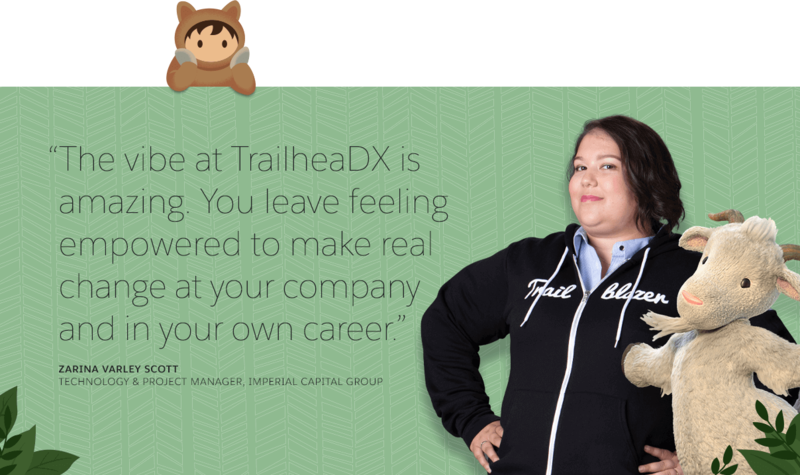 With 200+ learning sessions, there’s something for everyone at TrailheaDX. Check back often because exciting new sessions are added all the time. SEE YOU IN SAN FRANCISCO, TRAILBLAZERS. Join the mailing list for the latest news and updates about TrailheaDX. © 2000-2019 salesforce.com, inc. All rights reserved. Various trademarks held by their respective owners. Salesforce.com, inc. The Landmark @ One Market, Suite 300, San Francisco, CA, 94105, United States.